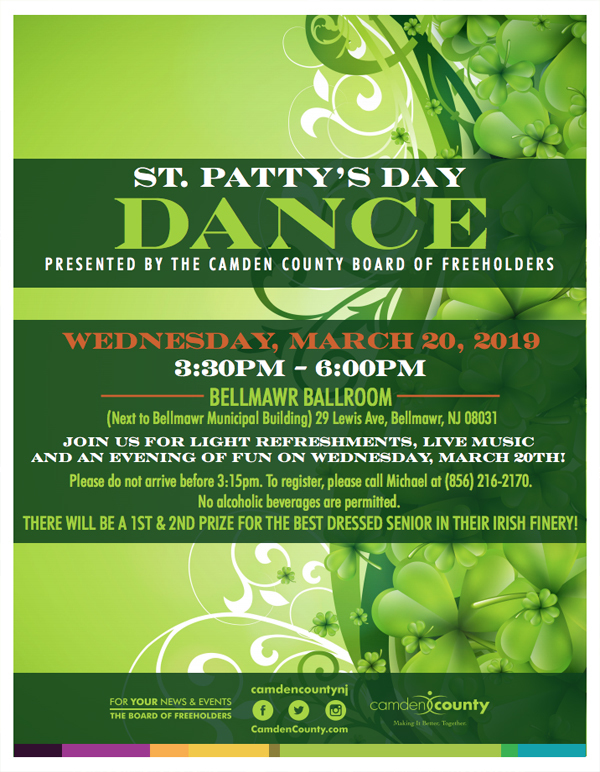 The Camden County Board of Freeholders present a St. Patty’s Day Dance for seniors aged 55 and up on Wednesday, March 20th from 3:30 PM to 6 PM at the Bellmawr Ballroom. Join us for light refreshments, live music, and an evening of fun! Please do not arrive before 3:15 PM. To register, please call Michael at (856) 216-2170. No alcoholic beverages are permitted. There will be a 1st and 2nd prize for the best dressed senior in their Irish finery.